The NBA Finals are long since over, but watching the teams play, there’s reasons other teams didn’t even make the playoffs. So we thought it would be fun to do a Subwoofer Challenge. And we wanted the Subwoofer Challenge to be for the real contenders. After all, not all subwoofers are created equal. And not all can take the heat, or excessive power. So we set the criteria at 1,000 watts RMS or more, with a 10 inch subwoofer, and reached out to those manufacturers that made such a subwoofer. The contenders are Incriminator Audio with their Lethal Injection, Image dynamics with their IDMAX10, the Massive Audio Summo 10", and RE Audio SXX10. We will first do the build quality for each driver. This way you will get an idea of how long they could last, as well as perform. Lastly we will do the listening tests. There will be two difference listening tests. The first will be in a sealed enclosure, and the 2nd will be in a ported enclosure. Each listening test will have two parts. The first part will be sound quality, and the 2nd part will be for SPL good output. We will rate each sub in each test, and see how they perform against each in an apples to apples test using the same enclosure and the same amount of power. The reference subwoofer amp we used is a Vibe Audio Black Death Class GH amp that puts out 1,400 watts at 2ohms. The logistics of working with all the manufacturers took some time. We didn't want to have any potential issues with any of the subs, since most of them are rated at 1,000 watts RMS. So we toned things down a bit on the amp. The sealed enclosure is 1.5 cu ft ,and the ported enclosure is tuned to 33Hz. Next in line is the Incriminator Audio Lethal Injection. Now it’s time for the Massive Audio Summo. The Massive Audio Summo came in a standard box, printed with it’s features and specs. Sitting in custom moulded Styrofoam, the Massive Audio Summo was well protected. Materials used in the construction was mostly metal, with some foam and paper. Quality of materials used was very good. The magnet was massive, and cast metal basket is extremely strong. That strength was also found in the injected pulp cone that was stitched to the beefy foam surround. Tinsel leads are sewn in as well. The Massive Audio Summo is put together like a tank. It looks to be able to easily handle the 1500 watts RMS rating. Fit and finish was very good. Also include was a sheet to help with mounting the Summo, along with a spec sheet. Last but not least is the RE audio SXX subwoofer. The RE Audio SXX subwoofer came in a nice looking color printed box with photos and specs of the subwoofer. The subwoofer sat well protected in custom molded Styrofoam. Although it wasn’t really needed, as the RE Audio SXX is very solidly built. Materials used in the construction was mostly metal with some foam and polypropylene. The magnet is large and the black cast metal basket is actually shallower than expected. The polypropylene cone is well secured to the beefy foam surround. Quality of materials used was very good. And the fit and finish was equally impressive. The terminals use a hex key. It isn’t as simple as a push terminal, but you will know you have a solid connection. Also included is the owner’s manual. All of these subs are impressive to behold. But they do have their differences. The Image Dynamics is a real juggernaut, as is the Massive Audio Summo. The magnet on the Massive Audio Summo is actually the biggest of all of them. But rated at 1500 watts RMS, I would expect it to be! That also means you need an enclosure big enough to house it. You can see how they compare in size from the included picture of them all lined up to each other. The massive Audio with it’s large fat magnet could be a tad difficult to fit in some enclosure designs. While the Incriminator Audio Lethal Injection and RE Audio SXX are not shallow mount subwoofers, they do have a smaller mounting depth. And all of these subwoofers are designed to put out a lot of sound. This is especially true when you think about their power handling capabilities! And speaking of power handling, let’s see how these bad boys perform! The listening tests were done in both sealed and ported. We went with a 1.50 cu ft sealed enclosure, and a 1.75 cu ft ported enclosure. In reviewing air space possibilities with the manufacturers, Incriminator Audio advised their Lethal Injection could be used in a sealed enclosure up to 1.0 cu ft. So their Lethal Injection was not included in the sealed listening test. Since the listening tests were done using both sealed and ported, there were the two different tests. And each test was done in two parts. The first part was for output with an SPL meter, and the 2nd part was done for sound quality. With there being a wide range of cabin gains, depending on the vehicle you have, we did the listening evaluation in our test room. With the same amp and settings used for each subwoofer, you'll be able to see a true apples to apples test of how they stack up to each other. The only substantial variable would be the Massive Audio Summo. With it's higher 1500 watts RMS rating, it can potentially be pushed much harder for even more output. And just keep in mind with these SPL numbers, that they will be even higher in your vehicle due to the cabin gain. Now with all that said, lets get it on! First up is the Image Dynamics IDMAX10. Test one will be using the sealed enclosure. The first part of the test is the output. ZZ Top: Gimme All Your Lovin, reached 101db. New Order: Blue Monday, hit 111db. Techmaster PB: Activate, and Time To Jam got all the way up to 118db. And Also Sprach Zarathustra reached 102db. Next up is the Incriminator Audio Lethal Injection, where we did just the ported enclosure test. First up is the output test. ZZ Top: Gimme All Your Lovin managed 101db. New Order: Blue Monday reached 111db. Techmaster PB: Activate, and Time To Jam, got up to 120db. And Also Sprach Zarathustra achieved 103db. Now it's time for the Massive Audio Summo. First up is the sealed enclosure tests, which starts with the output measurements. ZZ Top: Gimme All Your Lovin, got up to 100db. New Order: Blue Monday hit 109db. Techmaster PB: Activate, and Time To Jam, reached up to 118db. And Also Sprach Zarathustra achieved 99db. Let's now do the sound quality test with the sealed enclosure. ZZ Top: Gimme All Your Lovin, the bass was nice and deep, with good authority. They also had really good punch to the chest impact. New Order: Blue Monday, the beats were really fast yet well defined and not muddy at all. Not only were none of the beats missed, they were right on cue! Techmaster PB: Activate, and Time To Jam, provided really clean and good low end extension. The Summo played with excellent authority. The beats were really strong jackhammer to the chect impact! The cone was also well controlled by the motor with very good excursion. Also Sprach Zarathustra had nice smooth low end rumble with good output for it's depth. The tympani had good resolution, being able to hear the impact of the mallet on the pad. Now it's time for the ported enclosure test for the Massive Audio Summo. First we will test the output. ZZ Top: Gimme All Your Lovin, reached 101db. New Order: Blue Monday, got up to 112db. Techmaster PB: Activate, and Time To Jam, hit 120db. And lastly Also Sprach Zarathustra achieved 101db. Lastly it is time for the sound quality test. ZZ Top: Gimme All Your Lovin, showed nice and punchy bass with really good depth and output. New Order: Blue Monday, the beats were very fast, hit really hard, and was really clean doing so. The cone was very well controlled and timing of the beats was perfect. It wasn't muddy at all. Techmaster PB: Activate, and Time To Jam, yielded excellent output and played really deep. It hit really hard with tons of extremely well controlled excursion. And with it being rated up to 1,500 watts RMS, I could tell it was ready to handle a lot more power, like an engine with a lot of torque on tap. Also Sprach Zarathustra had sustained bass that was deep and smooth. It also had good resolution, being able to hear the mallet on the tympani. Next is the RE Audio SXX 10" sub. The first test was with the sealed enclosure. Part A was just to measure peak song output. ZZ Top: Gimme All Your Lovin reached up to 102 db. New Order: Blue Monday went up to 111db. Techmaster PB: Activate, and Time To Jam reached up to 119db. Last but not least, Also Sprach Zarathustra got up to 100db. Part B of the sealed enclosure test was all about listening. ZZ Top: Gimme All Your Lovin, the beats were clean with really good impact and lots of authority. New Order: Blue Monday, the beats were really tight with knock the wind out of your chest jackhammer type of punch. They also lad lots of depth with good output. Techmaster PB: Activate, and Time To Jam, the bass was really deep with lots of well controlled excursion! Not only was it really loud, but it was clean doing so! Also Sprach Zarathustra, provided nice sustained low end extension that was smooth yet deep. It also provided nice resolution of the mallet on the tympani. Now is the ported enclosure test for the RE Audio SXX subwoofer. Part A for the output showed ZZ Top: Gimme All Your Lovin, reached 101db. New Order: Blue Monday got up to 113db. Techmaster PB: Activate and Time To Jam, got to 122db. Then Also Sprach Zarathustra achieved 103db. Part B of the ported enclosure test for the RE Audio SXX subwoofer was back to listening. ZZ Top: Gimme All Your Lovin, had really nice depth with lots of authority. Bass beats were also nice and tight with in your chest impact. New Order: Blue Monday, yielded very tight in your chest beats that didn't miss a beat. Timing was right on and not muddy. The motor controlled the cone very well, giving clean deep bass. Techmaster PB: Activate and Time To Jam, is always a big test for any subwoofer, yet this one handled it in spades. There was tons of excursion that was well controlled and not sloppy. It hit hard, and did so very well. Also Sprach Zarathustra provided nice smooth sustained low rumble that was extremely deep yet with ok output doing so. And there was good resolution, being able to hear the mallets on the tympani pad. Now that the listening is over, I can honestly say this was a very difficult listening test and challenge. Our goal was to test and listen to some of the best of the best subwoofers, and we knew it would be a tough competition. We knew all of the subwoofers would perform very well. But we also did not expect the performances of all the drivers to be so close to each other! Some of the differences in performance really was hair splitting! The Incriminator Audio Lethal Injection seemed at one point pushed close to it's limits, yet it still performed very well. It had great output, and good resolution. It's output was better than it's sound quality. Yet it still has great sound quality. The Image Dynamics IDMAX10, Massive Audio Summo, and RE Audio SXX subwoofers were even closer in performance. The Image Dynamics IDMAX10 sounded the most musical, and had the best resolution, yet still had very strong output. If sound quality is most important for you, that could be your driver. The RE Audio SXX also had very good resolution, and was also very musical. It had even better output, having the most output of the group! If output is king, the RE Audio may be for you, knowing that it also sounds really good! Last but not least is the Massive Audio Summo. It also sounded really musical, and had very good resolution. It performed a lot like the RE Audio with really good sound quality, and just a hair lower in output. I also look at it as a sleeping giant. Given it's significantly higher power handling capability, if output is king to you, and you have the extra amplifier power on tap, this one could be for you. In the end, all of these subwoofers performed extremely well. And they all deserve your hard earned cash. And I can't see anyone not being pleased with either one of these subwoofers. The decision in the end could come down to enclosure design, price, availability, or the particular look of the subwoofer. 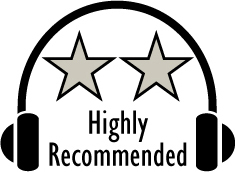 Based on their design, features, quality, and performance, the Incriminator Audio Lethal Injection has earned our Highly Recommended Award. 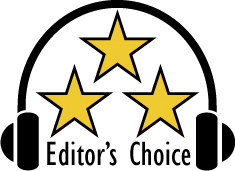 The Image Dynamics IDMAX10, Massive Audio Summo, and RE Audio SXX have earned our Editor's Choice Award. Kudos to all the manufacturers for provided such amazing options with these products for our bass needs. For more info and complete specs, check out their website at www.incriminatoraudio.com, www.imagedynamicsusa.net, www.massiveaudio.com, and www.reaudio.com. Reference gear used in the review included Kenwood DNN990HD receiver, Audiocontrol DQSX Electronic EQ and Crossover, Vibe Audio Black Death Bass 1 Class GH subwoofer amp, Install Bay 100 Amp Power supply.